Box Dimensions (LxWxH) 10.4 x 8.6 x 3.6"
A1 AirTTL-N Studio Light for Nikon is rated 4.6 out of 5 by 76. Rated 2 out of 5 by Mike from Superb light with huge design flaw The built quality, the light quality, recycling time and intuitive menu are fantastic. BUT it has a huge design flaw. I am using the light regularly to cover events. Usually I am carrying two cameras hanging over my shoulders. As a modifier I am using the Soft Bounce and find that the head tilts far too easily forwards causing the modifier to fall off or if it is busy it is being knocked off other people. It happens on a regular basis and with a light in a this price range this really shouldn't happen. It might be a good light if you have time and take slow portraits or work in any other quite environment, but it is definitely not recommended for anywhere busy or if you have to work fast. The only solution I found is to use tape to stiffen the head and attach also the Soft Bounce so it can't be knocked off/or falls down. Very disappointing. Rated 5 out of 5 by Walsh from Very Pleased Replaced a Nikon SB-800 with the Profoto A1. Here are some observations after a month of use. 1. Typical Profoto - expensive and well built. 2. The user interface is ridiculously easy. Controlling and adjusting output is beyond easy and very intuitive. 3. Don't even think about ordering without a second battery. 4. 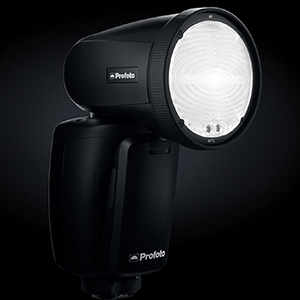 If you have the Profoto Air Remote, B1s or B2s this is a no-brainer. 5. I ordered the filter kit and use it often. 6. Most importantly, the results are outstanding. Rated 5 out of 5 by Andrey from Very nice Very nice speedlite. It is already here in Russia. I've been using Canon 600RTs for 2 years now. This one is much better. Here are things it has, 600RT does not have: lithium battery, modelling light, it does not overheat (we have a winner). After 2 shoots with it now, total of about 1000 pictures, the battery still has 20% left. Continuous bursts of up to 5, it never gave a dark shot. 600RT would start givings blacks after 2 or 3. I kept power level under 8. On the second day I was using HSS only (power also under 8). Not a single black shot for two days. Overheating was never an issue (as it would have been if 600RT was used). Some minor negatives: (1) sits not quite tight in camera shoe (5dmIV), it might lose contact (so far did not happen). (2) firmware upgrade didn't work at first, I had to repeat the steps several times before "Upgrade" button become enabled. After the upgrade, the unit would not turn on. Replacing the battery fixes the problem (3) Integration with canon camera is very minimal, but this could be considered as a plus, it is easier this way, more straight forward, than digging into the camera's menu. Rated 1 out of 5 by Chanda from Don’t waste your money I purchased a $1000 Profoto a1 light from B&H Photo less than a month ago. The flash head was not staying in place (lose). 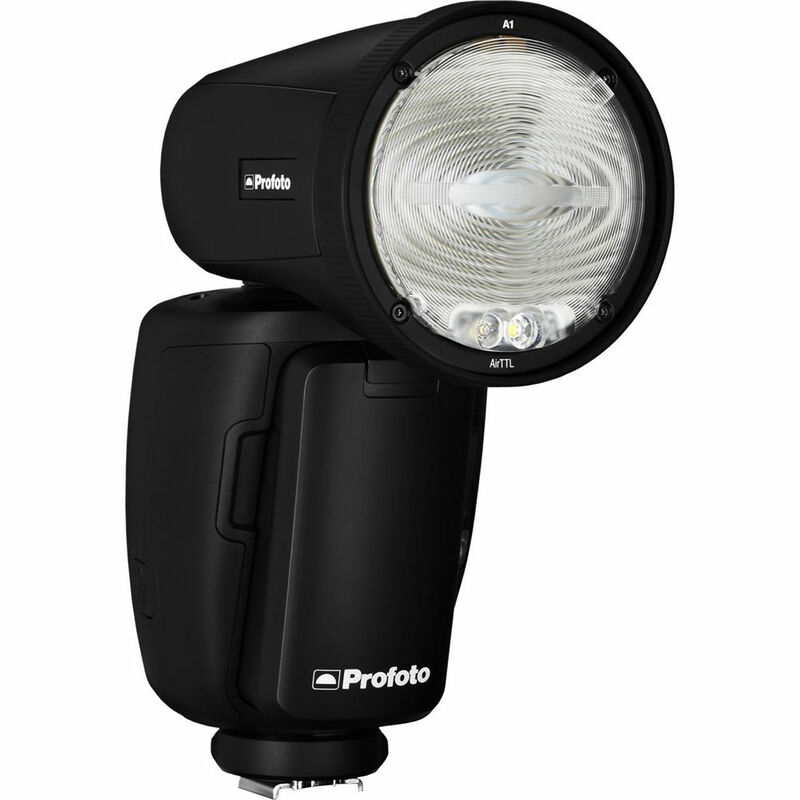 I was told by Profoto service department to return the light for repairs at no cost to me. The service rep was stated, Profoto failed to place the proper springs in the flash head when the intital batch went out. I paid out of my pocket to return the flash and waited 2 weeks for the flash to be fixed and returned to me. When I contacted Profoto regarding my flash I was told the flash would be repaired and sent over-night the next day. The flash was mailed to me, but the repairs never took place. The flash is basically flimsy and wobbly. This is very disappointing considering I have never had an issue when my Canon flash and it cost considerably less. I want my flash replace immediately or just give me my money back. Rated 5 out of 5 by Frederick from Outstanding All-Around Flash I primarily photograph sporting events and take flash photos before/after events and in some cases, where I am permitted to use flash during an event (like wrestling), I often use HSS.? The A1 excels at HSS for me and allows me to utilize HSS in burst mode, never missing a shot, whereas my previous camera brand flash would not be able to keep up. Additionally, the battery location/convenience of quickly replacing it when needed and the included accessories that attach via magnets are outstanding. From a Guide Number perspective, at 76WS, it is as powerful (but not more so) than my camera brand flash. This is an expensive flash, but it is every bit the same Profoto quality build exhibited by my B1 and B2 lights; and seamlessly works with them in a mixed lighting setup. Rated 4 out of 5 by Mark K. from Will update after more uses I used it for the first time today as a backlight along with my B2 kit and AIR Remote. For the most part it worked flawlessly. But, after it sitting idle on the floor stand for just two minutes, the very next image was blown out. Perhaps 3 or 4 stops too hot. Next images were all fine. It happened twice (same circumstances). I'm thinking that it will be remedied in the next firmware update as I'll send this info to Profoto. As for the unit itself, it is built extremely well. Solid feel, weight, feature set and ease of use. I'll be using this instead of my Quantum T5DR for events. Very quick recycle time and no extra battery pack hanging on my belt. Rated 3 out of 5 by Ed B. from Frequently Does Not Remotely Trigger B1s Honestly, I really love the A1 and other Profoto products. ?It really makes our travel case lighter. ?But we are noticing that our A1 frequently does not trigger our B1s. 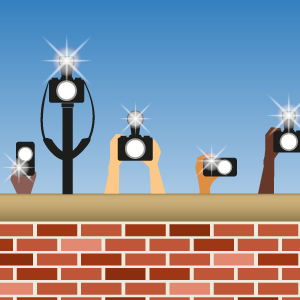 ?We noticed this on a rather important corporate photo shoot. ?This was a very important contract signing between two very large corporate CEOs (very embarrassing). ?Again we noticed this on a recent portrait photo shoot. ?Anyone else have this issue? Will the WR-R10 trigger Profoto A1 on z7? Has anyone used this with a GH5? 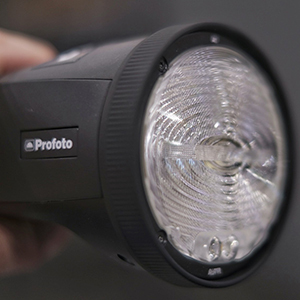 The Profoto A1 AirTTL Studio Light is a TTL studio strobe designed for use with either the Canon or Nikon DSLR cameras. Profoto does not manufacture an AirTTL Studio Light designed for the Panasonic TTL system used in the Panasonic Lumix DMC-GH5 Micro Four Thirds Mirrorless Digital Camera. While you may use either the Canon or Nikon version of the A1 Studio Light on the Panasonic Lumix DMC-GH5, do note that you will have to set the flash output power manually, and there will be no High-Speed Sync capabilities. As long as you do not mind setting the flash output manually, the Profoto A1 may be used with the Panasonic DMC-GH5 Digital Camera. Can this flash be used on a bracket with a Vello cable? Yes, you can use those accessories with the Profoto A1. Will this also work with Pocket Wizard Plus3 for High Speed Sync on a Nikon D810 using a hotshoe adapter or does it need the Air Transceiver? Do you have in stock is the delay?? The flash is currently listed as More on the Way, but this status can and will change. It means we have made an order from the manufacturer to get more of them in and are now awaiting that shipment from them so that we can sell them to our customers. Will this give continuous light for video to film? It is not designed to be used for continuous light however there is a modeling light built in that will allow you to use a small lesser powered constant light. Unfortunately, the OCF softboxes are limited for use with the B1, B1X and B2 units only. However, the Westcott Rapid Box can work with shoe mount flashes including the A1. Does Profoto has a plan to include Leica SL compatibility? I need one for my SL.